Founded in the dawn of the 1920s by the Horn brothers, Hotel Hannong has been family run ever since and is now into its fourth generation. From what started as the hotel of choice for anyone travelling through Strasbourg, the famed location has now become a place of luxury that combines modern chic with a 1930s decor, creating a cozy atmosphere where the people of Strasbourg love to meet. 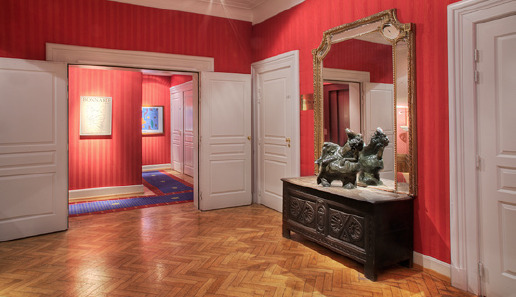 Since day one, Hotel Hannong has had close links with the art world. The Horn brothers, who founded the establishment in the 1920s, were savvy collectors of modern art. With works by Sophie Taeuber Arp, Jean Hans Arp and the architect Theo Van Doesburg, the hotel has always been a destination for lovers of art. Later, they donated a large number of works which led to the foundation of the Museum of Modern Art in the city of Strasbourg.